The New Year’s ball has some competition. In the blink of an eye, it will be 2019. Now’s the time to narrow down your holiday party hairstyle ideas, specifically for New Year’s Eve. There are so many great options to choose from but we like the idea of thinking out of the box. For ringing in 2019, we want to bring back glitter hair. It was a hit with glitter root styles not too long ago and we’re kind of missing the trend. The glitter ombré style is an ombré dye job with some sparkle. This is a fun way to jazz up your ombré hair for the holiday season. We have been inspired by the SS ’19 runways but we can’t wait until spring of 2019 to sport the look! For the holidays, we’re super excited to try our hand at new hairstyle ideas that feel like we’re stepping into the new year doing something bold, daring or simply exciting. This is why we’re obsessed with the glitter ombré for the New Year’s celebrations. If you already have ombré hair, you’re on the right track. All you need to do now is follow our simple glitter hair tutorial to apply that extra sparkle. 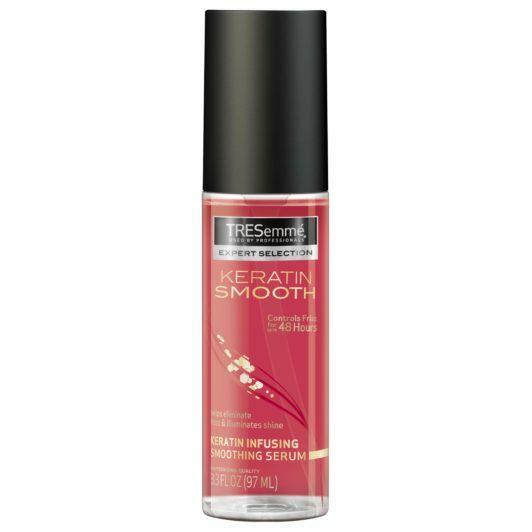 Instead of using a gel, however, you can switch it out for a shine serum, like TRESemmé Keratin Smooth Shine Serum. 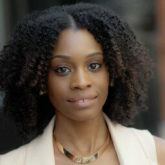 Most serums work well as a great adhesive for styles like this. This is ideal if you plan to wear your hair down instead of in an updo. To set your glitter in place, finish the look with a firm hold hairspray, like TRESemmé TRES Two Freeze Hold Hairspray. 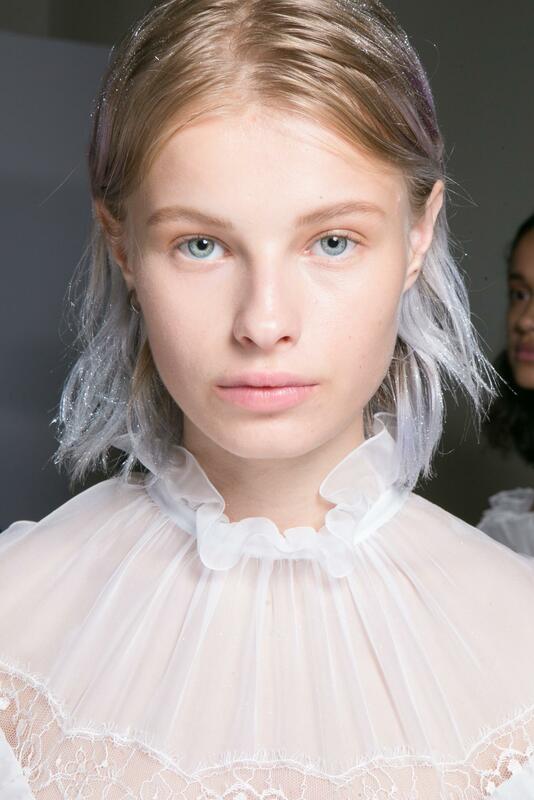 If you don’t already have a gradient of hues to create the rainbow effect, you can opt for adding a colored rinse or temporary spray to your hair just for the occasion. 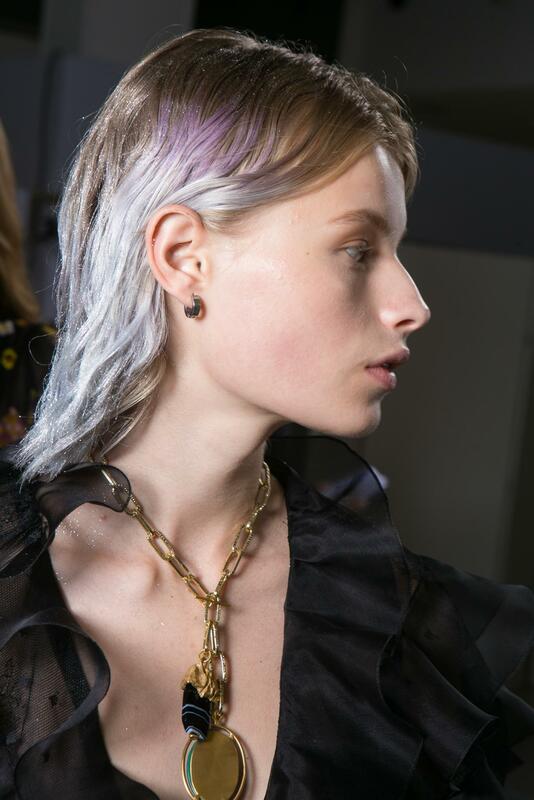 We like how purple hair options are fun and quite directional for the holidays! More Pre-Party Hair Care Tips here.